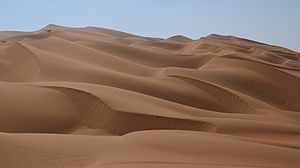 A Desert is a large, dry region of land with sparse plant life. Deserts are home to plants and animals specifically designed to resist the harsh, arid climate. This page was last modified on 21 April 2015, at 13:13.